First and foremost, I want to thank everyone who stops by my blog, whether it be just a casual glance, you stumbled upon it, you searched for something and found me, or you are one of my avid followers, no matter how you got here, I want to thank you. Thanks for stopping by, reading up on me, watching me grow up and all the funny things that happen in my life. When you are visiting, please take the time to leave me a comment, or click the “like” button in the comments section, or even “rate” my blog posts at the top of each article just so I know how I am doing. I would appreciate it! If you have your own blog too, by clicking the “like” button in the comments section will get others to view your blog as well and this will help create traffic flow to your blog. Daddy and Mommy did more Halloween prep this weekend, getting more wood tombstones painted & ready for the yard, chasing their styrofoam tombstones down the street from the strong winds we had over the weekend (now Daddy can see what Mommy had to put up with during the day on Friday as Mommy had to head outside more than 11 times to reposition the tombstones – grrr), and they also worked on their cemetery columns & sign and they think they finally figured out how to add lights to the sign. 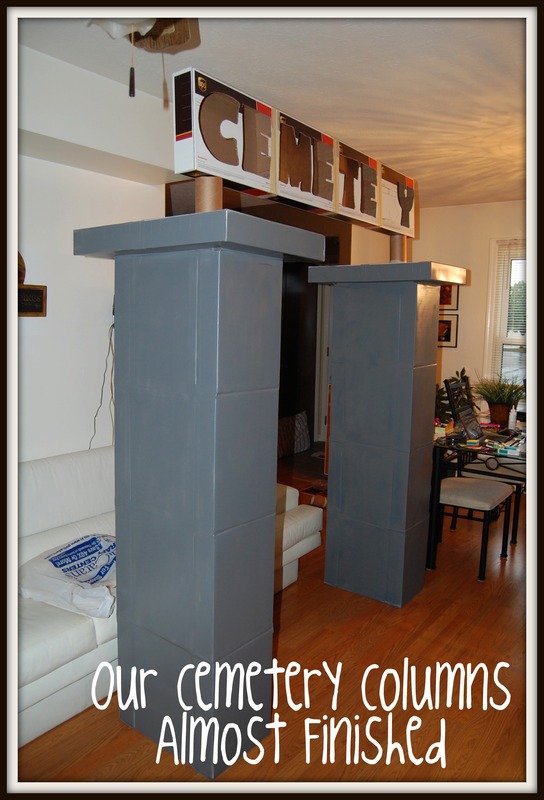 What is amazing about our cemetery columns is that they are made out of all boxes and then spray painted in a gray primer and some Krylon Stone spray paint. Anyhow, Mommy & Daddy went shopping for the supplies for my Halloween costume and now Mommy has to figure out how to pull it all together. Can you tell what I am going to be for Halloween by this picture? Halloween is fun, as you can act like a kid (or a dog in my case) and you can have fun with all the props. I find it amusing when Daddy pulls out his stuffed black cat, as this thing drives me nuts. I am ok with “real” kitties, but this stuffed thing is different. Mommy kept moving it around the floor like it was chasing me and I barked and growled at it. 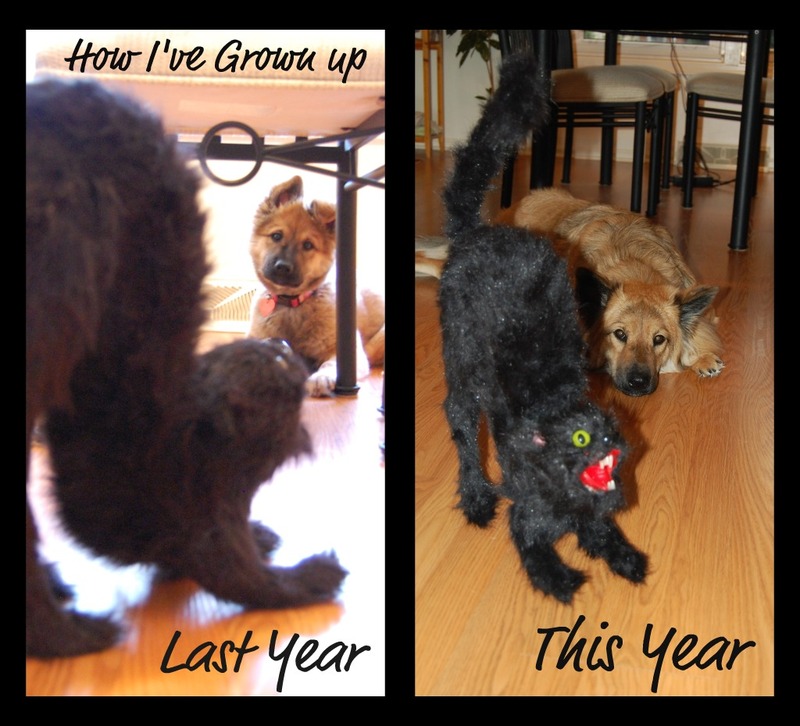 It is amazing on how big I have grown in just a years time, as I was just a little pup last Halloween. 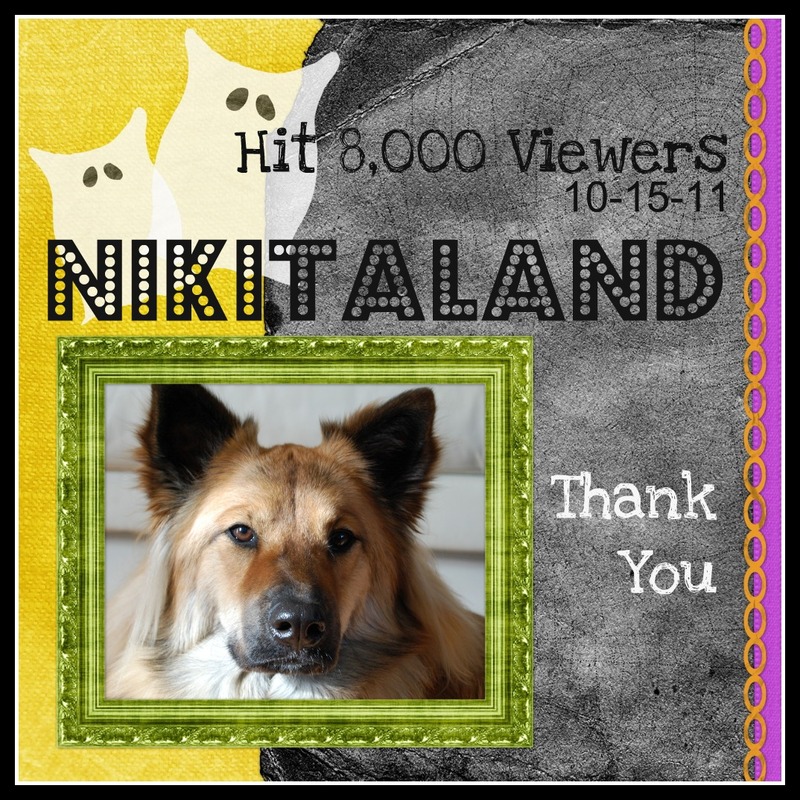 This entry was posted in Puppy Life and tagged DIY Halloween Props, Nikita, Pet Halloween Costumes by Nikitaland. Bookmark the permalink. We have been busy watching you all prepare for Halloween, you are watching your mommy and daddy place everything outside from the window. Lisa and I love that you come to visit us! Have a Happy halloween our favorite puppy!! Hey Girls! What a nice surprise hearing from you! I LOVE YOU TOO and I love coming across the street to visit you too! I always sit by the front window and watch you all day, but when I see you walk by your office door, I wag my tail when I see you! Woof Woof! 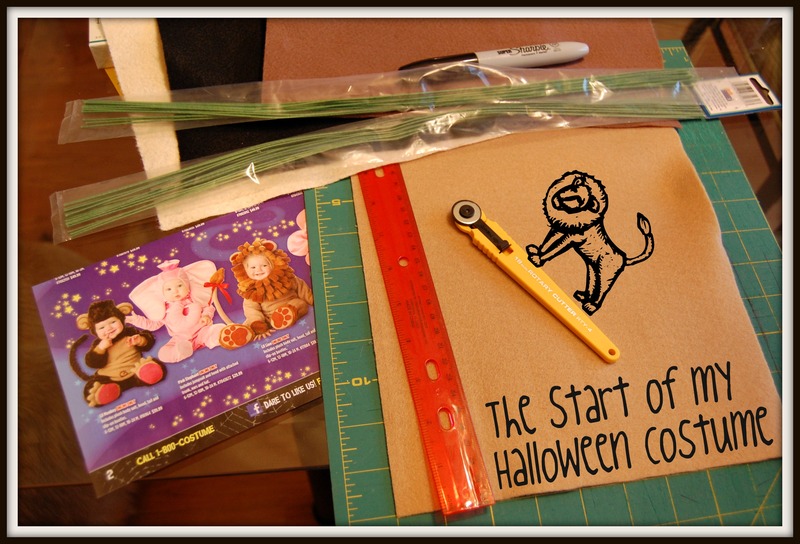 You will have to watch my blog in the next day or so because we will be posting our night time Halloween photographs & all the trick-or-treaters that stopped by! We also have a video too that we are going to upload so you can watch. Stop by again soon to say hi! Wet puppy kisses to you and Lisa!